A grant from the State of Michigan provided funds for the conversion of the NextEnergy Center building in Detroit from AC to a Direct Current (DC) power distribution system. The scope of the effort included demon­stration of a unique solar panel that produces both thermal heating and photovoltaic (PV) power. The project also called for providing the State of Michigan with a showplace for DC technology, and obtaining experience integrating solar and EMerge Alliance® systems. The location is a 45,000 sf building in Detroit’s Tech Town, which encompasses eight laboratories, a showroom/atrium, an auditorium and office/meeting space. Nextek was in charge of overall project management, engineering and subcontracting. Working with NextEnergy Center and Power Panel, we successfully converted lab and office space ceiling, lighting and fan systems to DC, rectified AC grid power to 380 VDC, and installed motion sensing and wireless lighting controls. In each of the eight lab spaces, two 1 kw metal halide fixtures were replaced with high-efficiency T8 fixtures to achieve a 43% energy savings while providing more and better distributed light. In the office space, luminaires were retrofitted with DC ballasts to maintain lighting levels with less power usage. Additional system monitors were installed throughout, including an Amatis web monitoring system, which displays information on all power sources and loads simultaneously. To handle power distribution in individual spaces, networks of Nextek Power Server Modules (PSMs) were installed in each space. PSM units in individual areas. Since the building’s conversion, the photovoltaic panels provide the bulk of power to lighting, fans and other functions, at times more than 96% of the facility’s DC equipment energy needs. A Nextek Power Systems test has shown that a solar powered DC infrastructure can charge DC electric vehicles. A second test showed that excess solar when vehicles are not being charged can be used to power other DC loads, and also be returned to the AC power grid. The tests were authorized by the U.S. Army’s Construction Engineering Research Laboratory (CERL) in Champaign, IL. The test was conducted in two phases. The first was designed to determine the ability of a solar powered DC system to power two DC charging stations. The second added loads such as overhead 380 VDC lighting, along with 24 VDC loads for lighting and office applications. Any remaining solar power was designated to be inverted back to the AC grid. Nextek’s Direct Coupling® technology utilizes DC-compatible equipment that eliminates the need for most conversions/inversions, regulating the solar array and the power to the load, thereby reducing power loss in the system, which translates to energy and equipment cost savings. The Nextek solution included a 6 KW solar array with a module-level Maximum Power Point Tracker (MPPT) in conjunction with two 75 KW rectifiers in an N+1 configuration, producing 380 VDC from 3-phase 480 VAC. This powered a 380 VDC and a 240 VDC EV charging stations. Power Server Modules (PSM) were used in 24 VDC office load situations to distribute and monitor power usage. 380 VDC ballasts were used to power overhead lighting. A 10 KW inverter was used to feed excess power from the solar array back to a 208 3-phase AC panel. An Amatis data collection reporting system generated data and continues to export it to an Excel file every 5 minutes at the following points: DC lighting loads, 75 KW rectifiers, the vehicle charging stations, and solar. The tests proved definitively that solar can provide adequate power for main bus requirements, while also feeding electric car charging stations, or returning excess electrical power to the AC grid. Ft. Lauderdale, Florida is one of the sunniest locations in the United States, so it makes a lot of sense for businesses to use the great weather to their advantage by powering electrical systems with solar power. But for a PNC Bank branch, the traditional solar system they employed was too ineffficient to be cost effective. That's when they turned to Nextek Power Systems. Most solar technologies take the direct current (DC) produced by photovoltaic arrays and invert it to alternating current (AC), so it can be used by existing wiring and equipment. But there is a significant power loss in the inversion from DC to AC. Plus, the power must then be converted back to DC for use in equipment that incorporates semi­conductors, resulting in additional power loss. For a company that prides itself on fiscal acumen and responsibility, this strategy didn't make much sense. They asked Nextek to see what their Direct Coupling® technology could do to improve the energy situation. Direct Coupling® technology utilizes DC-compatible equipment that eliminates the need for most conversions/inversions, regulating the solar array and the power to the load, thereby reducing power loss in the system, which translates to energy cost savings. Existing photovoltaic panels were employed in this project. The solar array produces between 60 – 120 VDC through a Maximum Power Point Tracking Controller to a constant output voltage for distribution through a Power Server Module. The input of the PSM combines DC power from the solar array, with AC from the grid, which is only used when needed. The DC photovoltaic system has successfully powered the facility, almost completely eliminating the use of grid-supplied AC power during business hours. Building managers at MHT Housing, one of the largest nonprofit afford­able housing companies in the state of Michigan, know they have been spending too much on lighting costs. They contacted Nextek Power Systems to provide alternatives to their traditional lighting strategy. Nextek’s experts suggested a demonstration project in a small portion of their building to illustrate energy and cost savings, and to give management an up-close look at how the new strategy worked. The system installed by Nextek encompassed the company’s general office and kitchen areas. A Nextek representative needed only 20 minutes to retrofit fifteen T8 34W fluorescent fixtures with ten 48W, 2-foot by 2-foot LED lighting panels. A standard Nextek Power Server Module (PSM) with wireless ZigBee communication was installed to convert 110VAC power to 24VDC current used by the LEDs. Because direct current is safe-to-touch and requires only Class 2 wiring, the installation did not need a professional. The installation reduced the total amount of system watts from 1,224 to 480. Positive results were immediate. Initial readings in the general office area showed that foot candles increased from 26.7 to 48.3, while power consumption dropped from 816W to 384W. Based on these figures and a 40-hour work week, power usage should go from 195.85kWh to 76.8 kWh per month. With an assumed cost of 9 cents per kilowatt hour, MHT’s monthly electricity expense for these small areas will drop from $17.62 to $6.91, a decrease of 61 percent. Energy independence is a chief national security imperative. Mandates for federal government installations require significant reductions in traditional, non-renewable energy sources in the next two decades. The Fort Belvoir (Alexandria, VA) Direct Coupling® DC Microgrid demontration project uses native DC renewable energy created by roof mounted photovoltaics as the primary power. Rectified AC grid power is only used when DC power is not available or is insufficient to completely power the DC loads. In typical microgrid installations, DC power generated from renewable sources is inverted to AC current to access the grid, and then rectified back to DC for use in the load. Each conversion incurs energy losses ranging from 3% to 30%. Nextek’s Direct Coupling® DC Microgrid eliminates those losses. Direct Coupling® technology utilizes DC-compatible equipment that eliminates the need for most of these conversions/inversions, regulating the solar array and the power to the load, thereby reducing power loss in the system, which translates to energy cost savings. In March of 2002, Nextek Power Systems teamed up with PowerLight Corporation and Princeton Energy Systems to make the Whole Foods Market in Berkeley, CA the nation’s first major food retailer to introduce solar energy as its primary lighting power source. Eleven years later the system is still going strong, providing low-cost, virtually maintenance-free lighting to environmentally conscious customers and employees. This was one of the first examples of what has become Nextek's Direct Coupling® technology, which provides Direct Current (DC) power directly to DC-compatible equipment that eliminates the need for most conversions/inversions to and from traditional Alternating Current (AC), thereby reducing power loss in the system, which translates to energy cost savings. Whole Foods Market brought together Nextek, Princeton, and PowerLight to create a 33kW solar electric system to power the Berkeley store’s fluorescent lighting. The solar array, composed of PowerLight’s PowerGuard tiles covering 2,860 square feet on the store’s roof, turns the sun’s energy into usable power while increasing building thermal insulation and extending the life of the roof. These solar tiles are electrically interconnected to Nextek’s NPS legacy power modules, which feed high quality DC power to the store’s newly retrofitted advanced DC lighting system. The NPS modules have since been replaced by a radically-advanced Direct Coupling® technology system, which incorporates the Nextek 16-channel Power Server Module, and will soon be managed wirelessly via cloud applications. The system is already fully amortized, which means the electrical power produced by the solar panels and managed by the Nextek system is virtually cost-free. “As a company actively looking for ways to help preserve our planet’s natural resources, natural solar powered lighting systems made sense both from an economic and an environmental standpoint,” said Ron Megahan, Regional President of Whole Foods Market. Federal government mandates require the nation’s military facilities to reduce the amount of their energy consumption by 30% by 2015; new or refurbished buildings must reduce fossil fuel use by 55% (from 2003 levels) by 2010, and 80% by 2020. The U.S. Army Corps of Engineers contracted Nextek Power Systems to install a Direct Coupling® DC Microgrid in the water chemistry lab of the south chiller plant at Fort Huachuca, AZ, in a demonstration project designed to illustrate progress towards the above goals, as well as to evaluate the potential for larger installations in the future. 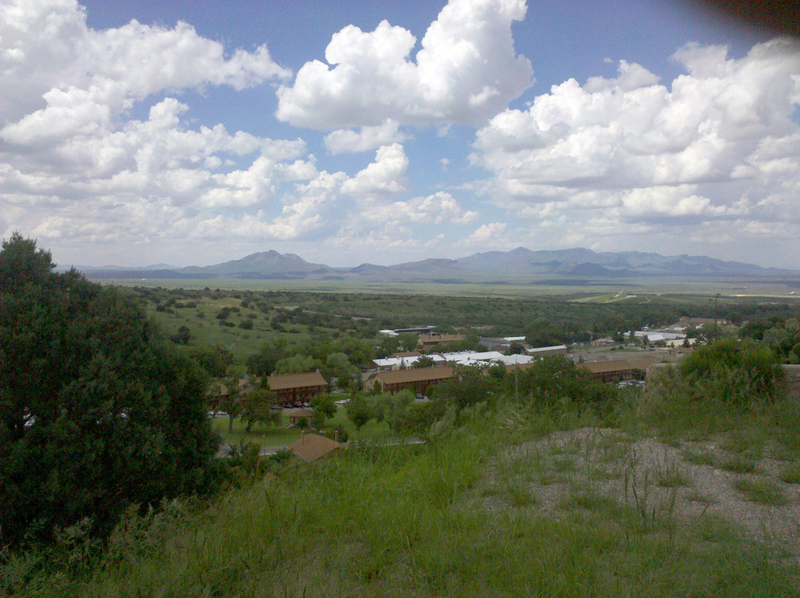 Ft. Huachuca is located 50 miles southeast of Tucson, and receives, on average, 6.0 to 7.0 kWh/m2/day via solar energy throughout the year, placing it at the upper end of the solar energy reception spectrum in the United States. It is in a region of high potential for the development of solar energy. In typical microgrid installations, DC power generated from renewable sources is inverted to AC current to access the grid, then rectified back to DC for use in the load. Each conversion incurs energy losses ranging from 3% to 30%. Direct Coupling® technology utilizes DC-compatible equipment that eliminates the need for multiple energy conversions. By regulating the solar array and the power to the load, power loss in the system is reduced, which translates to energy cost savings. Existing photovoltaic panels were also employed. The solar array produced between 60 – 120 VDC through a Maximum Power Point Tracking Controller to a constant output voltage for distribution through a Power Server Module. The input of the PSM combines DC from the photovoltaic system with the bidirectional functionality of a battery backup/storage unit and AC from the grid. The DC photovoltaic system successfully powered the facility, completely eliminating the use of grid-supplied AC power since its installation, and showed significant energy cost savings if installed base-wide. Reduced risk of electrical shock by replacing 110 VAC lighting system with safer, low voltage 24 VDC system. 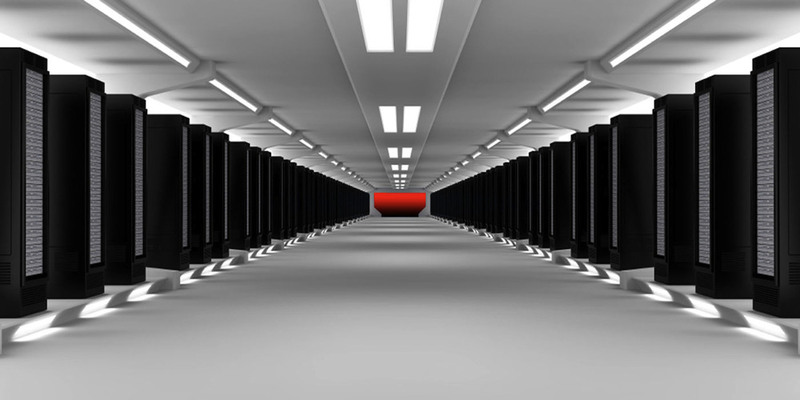 Data centers are the backbone of the Information Age, providing data storage for websites and databases, and supporting virtually every large-sized private corporation and institution. But computer power supplies are not very efficient. In many cases they have been designed for low upfront cost rather than long-term high efficiency. The most significant problems are increased electrical usage and increased heat. Heat created by these inefficiencies requires air conditioning, as well as spacing, and processing power considerations. Data centers can use 100 times more electricity than a typical office building (on a square foot basis), so energy costs are a major concern. With financial support from the California Energy Commission, researchers at the Lawrence Berkeley National Laboratory (Berkeley Lab) teamed with Silicon Valley giants including Sun, Intel, Cisco, and many other industry partners, to demonstrate technologies that have the potential to reduce the operating cost of data centers by billions of dollars a year, while maintaining or even improving reliability, lengthening the life of servers, and saving energy. Traditional solar power systems convert the DC power generated by the panels into Alternating Current (AC) so it can be passed through an AC grid. But then it must be converted back into DC at a rectifier before it can be used at its destination. Both operations yield a loss of power, sometimes in the double-digits of percentage. Power from the grid must also be run through a rectifier at each and every destination before it can be used. With Nextek’s Direct Coupling® strategy and power systems, DC solar power is passed through a DC microgrid directly to its destination, without the need for any conversion. Power from the AC grid is converted at a single rectifier in the gateway (instead of a rectifier at each destination device) before being passed into the DC microgrid. This system uses all available power from the cheapest source first, before supplementing from the grid. With this configuration, solar power from the photovoltaic panels passes through our gateway directly to the 380VDC bus of the datacenter, nearing 100% efficiency. By distributing DC throughout the data center instead of AC from the electricity grid, electrical power losses are reduced. Fewer parts are required to convert energy. DC distribution reduces facility cooling needs by limiting the number of converters (wasted energy become heat) and increases available floorspace and overall system reliability. The seamless integration of solar, wind and other renewable power sources as part of the new DC architecture at the site is an added benefit. There are currently 1.2 billion people in the world who have no access to electricity (International Energy Agency and the World Bank, 2013). There are another 2.3 billion people who have very limited access to power. Access to electricity is one of the most important steps in shifting communities from abject poverty to self-sustainability. In 2011, Sirona Cares teamed up with Nextek and the Institute of Electrical and Electronics Engineers (IEEE) to come up with a solution for simple power distribution in these rural areas that do not have access to power. Many Haitians are paying a significant portion of their income for kerosene, a major source of power in Haiti. Sirona Cares , a non-profit dedicated to bringing sustainable energy and economies to rural communities in Haiti, teamed up with Nextek Power Systems and the IEEE to design, manufacture, and deploy mobile solar energy units. The original units designed and manufactured by Nextek were called SunBlazers. Nextek has since developed a newer model: the ‘STAR’ that serves as a community charging station or dedicated power source. The STAR (Stationary or Transportable Available Resource) is designed to serve as a community charging station for people who live without power. It is capable of providing power for light for as many as 80 homes at a time. Many of the recipients have never had electrical power in their homes. This simple solution, consisting of a deployable solar array, battery charging station, portable battery packs and LED lights, makes it possible to power homes and small businesses anywhere, regardless of proximity to power utilities or other sources. Community members charge their battery packs at the station and carry the packs back to their home where they can be hooked up to lights and other small, electrical loads. Each battery kit comes with two 4-watt LED lights and is designed for a typical Haitian home. In addition to providing light, the batteries charge radios and cellphones. Development of systems like the STAR trailer is critical to the economic and cultural development of the 3.5 billion people who have little or no access electrical power today. The deployed trailers have been a huge success in Haiti. Nearly 1200 Haitian home owners power their lights and electronics from 15 SunBlazer trailers as of 2012. Customers pay $6.25 (USD) per month to use the home battery kits, roughly 10% of their average monthly income. For the 1st pilot that was deployed in 2011, all 240 customers have paid every month with no missed payments. In 2003 the settlement of a clean air lawsuit required the Virginia Electric Power Company to pay $2.1 million for air pollution mitigation projects in New York State. The $2.1 million was administered by the New York State Energy Research and Development Authority to install solar energy equipment on government-owned buildings in the state. In 2004 the Town of Hempstead, on Long Island, received $260,000 in funding to update their Town Hall with a new solar power system and DC microgrid. The Town of Hempstead commissioned Nextek Power to provide the first commercial-scale integration of a DC solar power system with an Allen-Bradley PowerFlex 700 series motor drive* in the Town Hall’s HVAC system. Rather than switching the air handler off and on, the VFD allows the motor to be run at slower speeds when not needed. This avoids huge start-up inrush currents and helps the motor last longer. These VFD’s typically require a rectifier between the AC input and the DC voltage-regulator. Nextek’s technology removes the need for a rectifier, creating a highly efficient system that can continue circulating air during a daytime power failure, even without batteries. On the southern face of Hempstead’s Town Hall a 256-panel, 40-kilowatt solar energy system supports Allen-Bradley motor drives without any hardware modification. The power generated by the solar panel carries 2 motors (a 40hp and a 25hp) during the peak of the day, seamlessly changing the power source to grid-supplied Alternating Current (AC) as the sun goes down. The Nextek Power Gateway connects locally generated power and grid power directly to electronic loads in the building. Nextek’s Direct Coupling Technology creates highly efficient, flexible, uninterruptable DC power networks in the building.